A place in the FA Cup round 5 will be at stake when Newport County and Middlesbrough face each other at Rodney Parade on Tuesday evening. The Boro failed to beat the League Two side in front of home fans, but they are still considered favourites to progress to the next round of the FA Cup. The Championship side, though, are fully focused on the Championship and securing promotion to the Premier League, so we do not believe that away win should be considered. 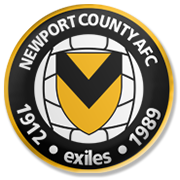 Newport County are a real force to be reckoned with at home and we predict that they are going to claim a major scalp in the FA Cup round 4 replay. It has to be noted that the two teams meet for the first time every at Rodney Parade in a competitive match.